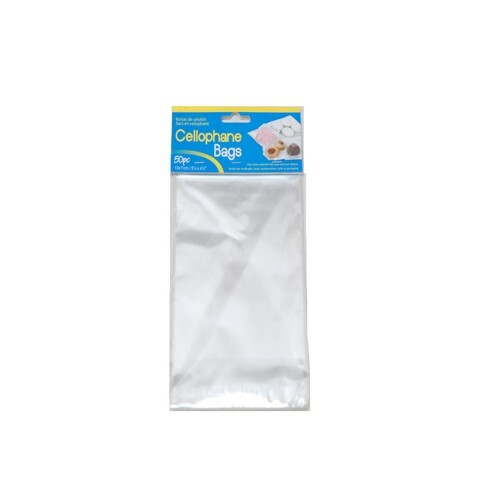 Cellophane Bags 11X13Cm 50Pk. 13cm Length x 11cm Width. Clear. Cellophane. 0 Packaging: OPP Bag with Header Card.